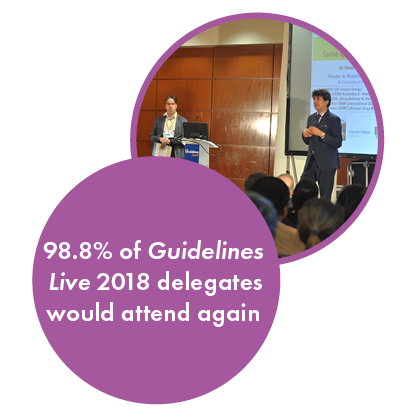 Guidelines Live is a 2-day event to engage and educate primary healthcare professionals involved in developing and implementing clinical guidance. Offering 12 clinical streams, it brings together 1000+ GPs, pharmacists, nurses, and those with an interest in developing and implementing guidelines. 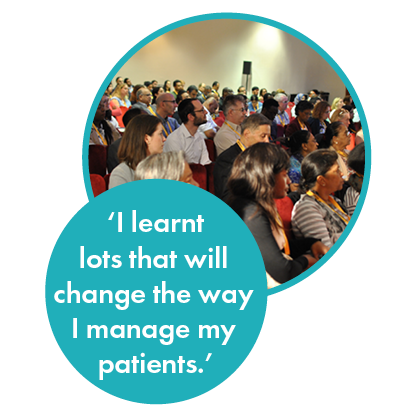 Guidelines Live offers unique opportunities to engage with your target audience of 1000+ healthcare professionals. We work with sponsors who have a direct interest in our clinical streams, offering opportunities to support implementation of key clinical guidance and appropriate brand positioning. As a key part of the event, the exhibition will give opportunities to discuss products and services with delegates face-to-face to support patient management. To define a package that meets your needs, contact Jamie Daden at Jamie.daden@mgp.co.uk or on 07850 772714. To find out more or to book, contact Sophie Boothe at sophie.boothe@mgp.co.uk or on 01442 861715.